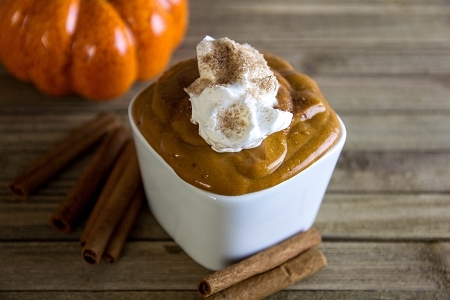 Our Pumpkin Spice Pudding mix makes a diabetic-friendly dessert full of pumpkin pie spices. You can enjoy the flavors of the holidays all year. Easy to make—just add milk and chill. Modified Starch, Fructose, Maltodextrin, Corn Starch, Tetrasodium Pyrophosphate, Emulsifier (Mono and Diclycerides, Nonfat Milk, Cornstarch), Pumpkin Pie Flavor, Salt, Dipotassium Phosphate, Xanthan Gum, Locust Bean Gum, FD&C Yellow #6, FD&C Red #40, FD&C Blue #1, Acesulfame Potassium, Cream Flavor, Sucralose, Caramel Color.